This not about all those turgid ‘spelling rules’. Instead, it presents a practical routine that teaches learners strategies to conquer any word they find difficult and learn it for life. 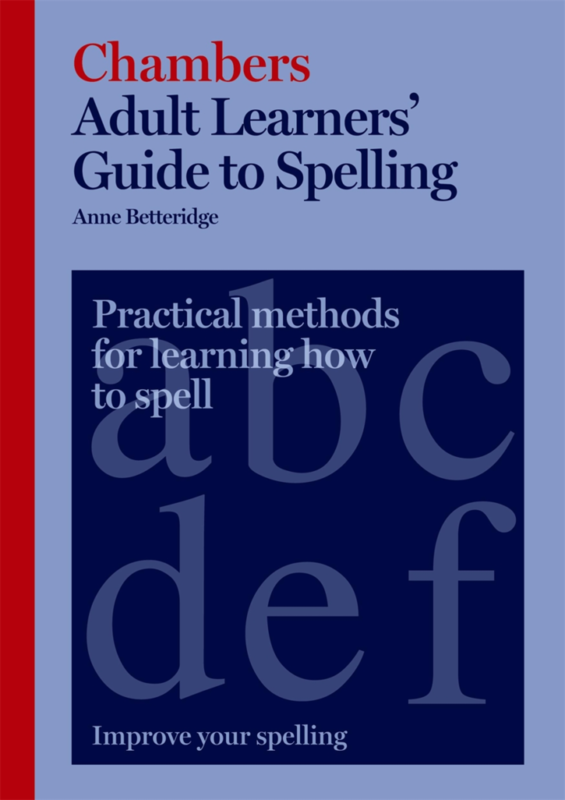 Chambers Adult Learners’ Guide to Spelling presents a practical routine that teaches learners strategies to conquer any word they find difficult and learn it for life. This edition comes in a handy, accessible format. The two-colour text is clearly and spaciously laid out, and plentiful examples, activities and illustrations reinforce the skills being learned. The author, Anne Betteridge, is an adult literacy and dyslexia specialist. The book’s practical and reassuring approach is a testament to her wealth of experience in working with adult learners.